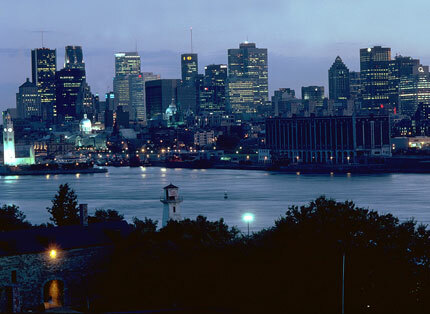 Rich in culture and history, Montréal is also one of North America’s liveliest enclaves. The second largest city in Canada, this Québécois hotbed represents a little slice of Europe right on the St. Lawrence River; in fact, it’s the second-largest French speaking city in the world, after Paris. Four million people call Montréal home, meaning the opportunities to experience museums, theaters, the great outdoors and incredible nightlife are nearly endless. And then there’s the food. From outdoor cafés along Rue St-Denis to Vietnamese Restaurants in Chinatown, from smoked meat and poutine to wine and charcuterie, Montréal’s food scene has something for everyone. Even in winter, the gourmet experience drives the city, with cozy neighborhood bistros, BYOB’s and brewpubs leading the charge. It would be easy to spend months walking the city’s cobbled streets, but in 72 hours a lot can be covered. 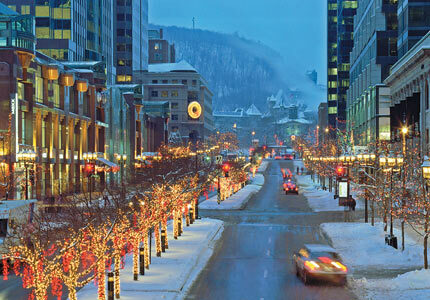 Begin your journey by stepping out onto Sherbrooke Street inThe Golden Square Mile district at the base of Mount Royale, once home to a majority of Canada’s wealthiest citizens and the traditional heart of anglophone Montréal. Many of the surviving structures, still among the city’s grandest, are now owned by adjacent McGill University, and a stroll through the neighborhood is a great way to get a feel for old Montréal. A short walk away is the Montréal Museum of Fine Arts, established in 1860. Québec’s largest museum straddles Sherbrooke Street, and includes fine collections of Asian, Arabian, African and contemporary art, as well as the occasional Rembrandt, Giacometti or Calder. The recently expanded exhibition space presents shows ranging from classical painters to modernist designers to the world of fashion.